This picture Directed by Sam Wood for RKO STUDIOS is an odd film to view. Not so much because of the story which is of a Millionaire goes undercover at his own store to find the people responsible for hanging his effigy from a street light as protest but because of the main characters. Actor Charles Coburn who’s distinctive speech style reminds me of Fred Mac Murray in MY THREE SONS on television in the 1960’s(William Demarest who played “Uncle Charlie” in MY THREE SONS when William Frawley left is also in this film in small role) to chirpy, crusading Jean Arthur have this low key chemistry that did not seem to make the picture go. 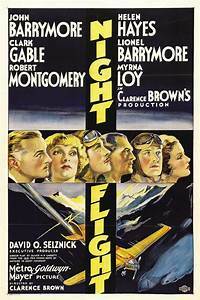 NIGHT FLIGHT (1933) made by Clarence Brown and starred Clark Gable, Helen Hayes, Lionel Barrymore, Robert Montgomery and Myrna Loy with a powerhouse story of flying serum over mountains also suffered from something not quite right feeling and did not do well. The DEVIL IN MISS JONES features dialogue which very pointed and exploitative almost one could say preachy in its tone especially towards the end . The picture also opens with a contrived Devil and Hell fire prologue featuring Jean Arthur. Through the film: Arthur does her best as the oppressed worker of a large Department store who unknowingly befriends her undercover boss on his mission. 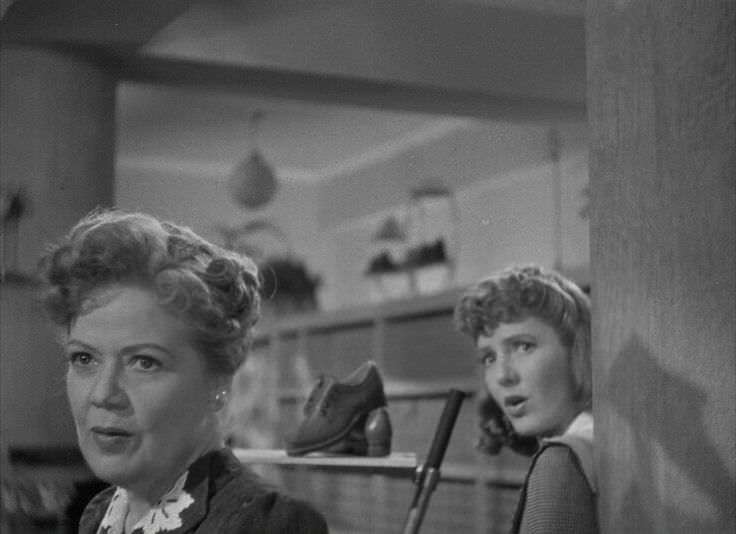 What does lift the film is the work of screen veteran Spring Byington as the older store employee Elizabeth Ellis who becomes a love interest. 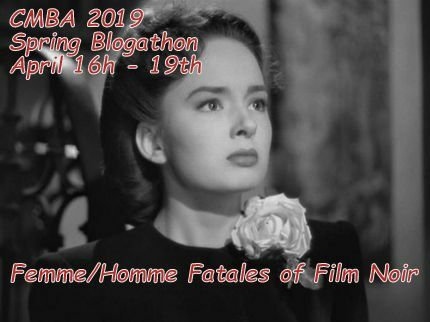 Her quiet mannered ways and voice add a sincerity to the story as boyish Robert Montgomery crashes about the beach scenes. The Coney Island war time crowded beach moments really do add a different look to beach recreation. 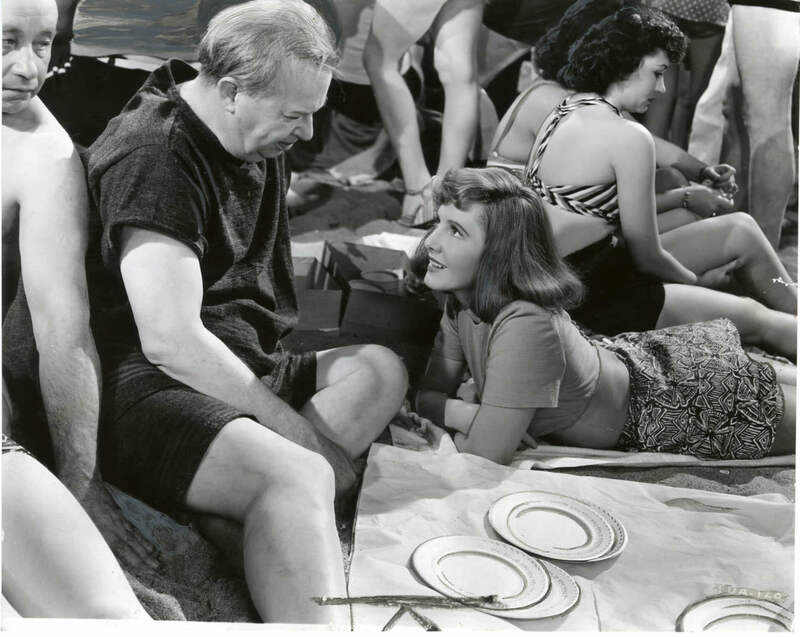 People literally upon people in the sand trying to get some recreation followed by some comedy bits with Charles Coburn in a beach shop. 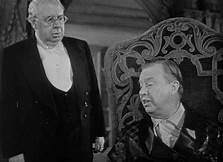 S. Z. Sakall is a standout in limited screen time as the butler of Charles Coburns character. Its a shame he did not get chance to play the role of the millionaire owner but he was not a box office star. THE DEVIL AND MISS JONES works on a different level due it odd interaction so settle back in your slippers you just bought: relax and see it for yourself. You will not need a receipt. 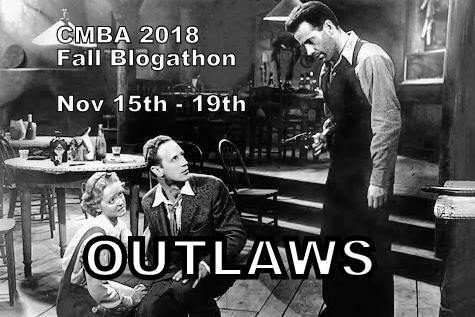 STARDUST AND SHADOWS is currently enjoying the MAD ABOUT MUSICALS free online course presented by Ball State University and TCM. In keeping with that theme, my brain went back to the Bob Fosse Directed film ALL THE JAZZ which perhaps will get mentioned in this course. The picture stars non musical Roy Scheider as self destructive Theatre Director Joe Gideon during his final days. Scheider gets some high powered Broadway help in the persons of Fosse dancer/lover Ann Reinking and Leland Palmer and Ben Vereen plsu a host of others that populate this wickedly cynical music fantasy. Without going into plot: ALL THAT JAZZ features some wonderful hellish moments of venom and sadness all climaxed with a brilliant final musical number. The cinematography of Italian Giuseppe Rotunno is without a doubt some of the best to be shot in the small world of the Theatre. Dark gloss blacks, bright lights, Neon signs. mirrors, smoke plus brief moments on the real streets of New York make it a real treat. Interesting to note that Rotunno also worked on the 1966 disjointed yet notorious fantasy film CANDY. The costumes all work. The use of solid black for Joe Gideon except when he goes outside he wears white goat. All the brights and dark colors have delicious urban used feel to them like the characters these people inhabit. The crowd scenes backstage when Gideon is confronted by a irrate yet in effective film producer and is chastised for ‘going over budget on editing a movie while Gideon is cutting about a stand up Comic routine is priceless. The music (yes there are songs) all fit with the Bob Fosse “Jazz Hands” dance moves along with the “Busby Berkeley on speed” inspired staging. ALL THAT JAZZ (1979) caused some trouble(Like he didn’t already have enough problems) in Director Bob Fosse’s life as it was thought some of the portrayals of the Broadway people particularly the producers hit a little to close to home. Then again Fosse didn’t seem to care. ALL THAT JAZZ (1979) is not ‘happy musical” yet it has a strange uplifting ending. Very worthy of been scene again on the wide screen. 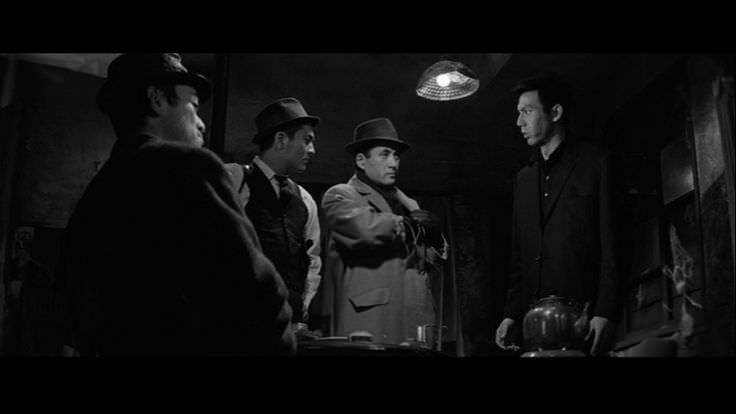 No these are not screen shots from the latest Neo Noir thriller of today but images from 1964 Japanese picture CRUEL GUN STORY. A stylistic heist film made in response to the coming “Spy Craze” ignited by DR NO (1963) and the subsequent ending of the Classic Film Noir cycle in the early fifties. 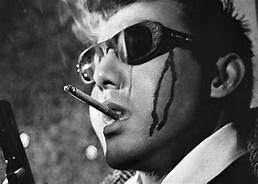 This picture was directed by Takumi Furukaw who was influence Sejuin Suzuki to spin out his wonderful TOKYO DRIFTER (1966) and and BRANDED TO KILL (1967). These pictures all feature fast editing, action, gun play and girls some like the Suzuki films is brilliant colors. There were not well received in their native country when made and did cost Suzuki his career there which was later restarted with more conservative fare. CRUEL GUN STORY features lead actor Joe Shishido who recruits various unsavory types to perform a bank heist involving the stealing of an armored vehicle. Flashing guns, fist fights (although some unconvincing) abound. What is a highlight is the good use of light and space in the composed shots even something as simple as gravel on a highway flying up. For an action difference that lead to the creation of the ‘Hong Kong cool” of Chow Yun Fat, Jackie Chan and Tony Leung why not enjoy this high octane blasts. D’ Orsey has a wonderful musical number that Sparks interrupts is one of the pictures best comic moments. Bing Crosby makes this picture go with his crooning and his presence. Crosby was the top selling male singer in the world then and continued even as rising star Frank Sinatra was beginning to make a dint. Crosby was the ‘Gold standard” in radio play, record and sheet music sales plus lifestyle with his clothes and cars. The clip shows the wonderful use of crowds and control that Raoul Walsh used in this song sequence of Bing’s character leaving for Hollywood. This played a part in the action sequences Walsh was to direct later in his career. Marion Davies who was William Randolph Hearst’s mistress was cast in an attempt to team here with the huge presence that was Crosby and others in the picture. Davis does a credible job in GOING HOLLYWOOD yet she appears out of her element in the dance sequences. She tried hard and no doubt has the best teachers that money could buy to help. 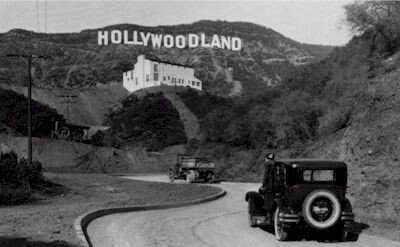 GOING HOLLYWOOD (1937) may seem to be a spectacular musical in the MGM vein was strong attempt at the formula by Warner Brothers. The picture lacked the MGM people behind the cameras and on set yet still worth a look only because it contains Crosby singing his heart out with ease.